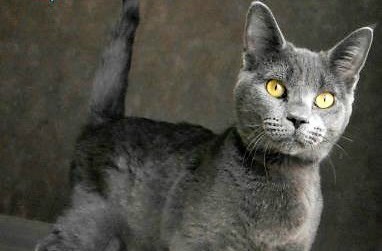 Skye, the domestic short hair grey colored cat, is our KBOE/KMZN Pet of the Week. Skye, estimated to be 8 months old, is a very friendly, loving little gal who loves to play and be loved on. She has been spayed and is looking for her forever home. Her pregnant mother was found and brought to the Stephen Memorial Shelter where Skye was born. Skye is ready for adoption now so submit an application to give her a loving home. Call Stephen Memorial Animal Shelter at (641) 673-3991 for more information about Skye or a wide variety of other loving and adoptable pets!